Acknowledged as the flagship of Bayview Harbour, Les Colonnades boasts 34 apartments, 2 x 218 - 220m ², 2 apartments per floor, including 2 double storey penthouses. Apartments feature 2 bathrooms, 3 bedrooms or 2 bedrooms plus a study/family room, generous wrap around balconies, and ducted air conditioning/heating. Apartments have 2 car spaces and most have basement storage enclosures. 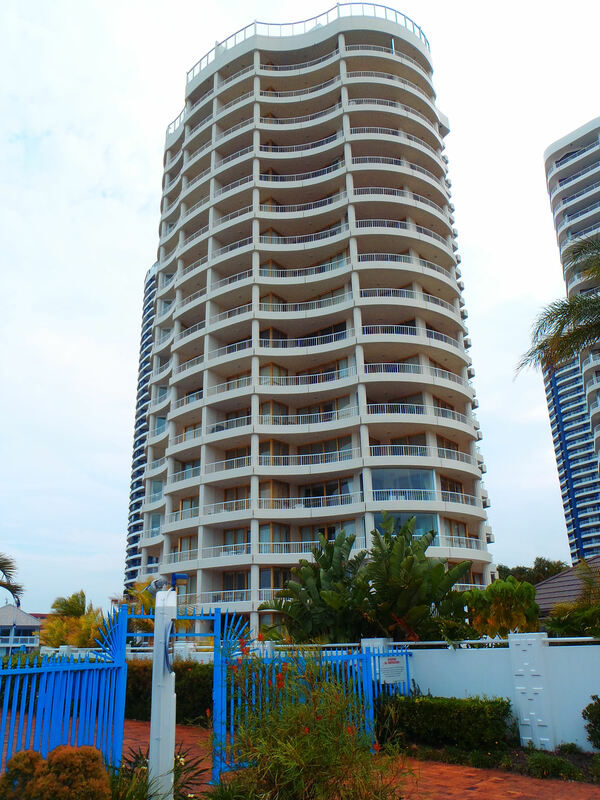 The prime position of the building, ensures that north side apartments enjoy uninterrupted views of the Broadwater, the gold Coast seaway and South Stradbroke Island, and south side apartments, superb views of the Broadwater, the Gold Coast sea way and the Surfers Paradise skyline.